If you’ve ever smoked a bowl and gotten a mouthful of herb or ash, then you need a pipe screen in your life. Pipe screens are smoking accessories that help smokers take deep hits without getting a mouth full of greens. They are small screens that you can insert into the bottom of your bowl and pile your flower on top of, and they come in many varieties. By adding a layer to the bottom of the pipe, a pipe screen prevents the flower from being sucked in through the bowl and straight into your mouth. The benefits of pipe screens are that you don’t end up inhaling dry cannabis. 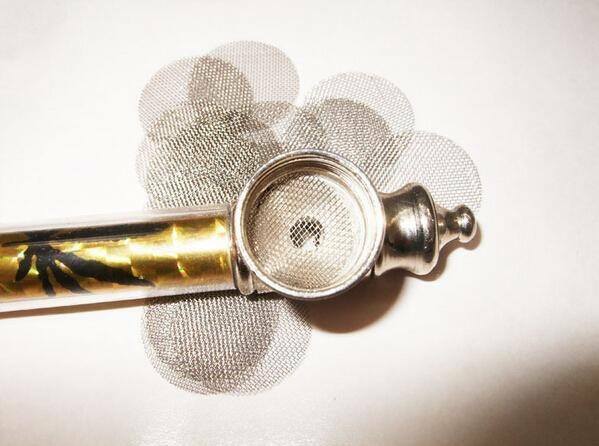 Pipe screens also prevent flower from falling through the hole and being wasted, which can be a problem for smokers who have pipes with large bowls and large bowl-holes. But the best benefit of all might be that pipe screens prevent scoobies – the ash and burnt-up herb that can get sucked in when the bowl is done. No more mouthful of ash, and no more singed tongue from a bit of cherried flower that got sucked through. And keeping the ash out of the pipe itself makes cleaning a breeze. Using pipe screens is not difficult. All you do is take the screen and lay it horizontally in your pipe, so it covers the bottom of the bowl. From there, you just fill the bowl as your normally would and toke away. One of the few downsides to pipe screens is that they tend to be one-size-fits-all, which means that if you have a smaller bowl or a one-hitter, the pipe screen might not work out so well. If desired, you can always cut the pipe screen to shape, as long as it’s made of steel or brass. For all their positive properties, pipe screens have their fair share of pros and cons. Ultimately, it’s up to cannabis users to decide whether the pros outweigh the cons. Keeps user from getting scoobies – no more burned tongue! Glass pipe screens add a whole new layer of awesome to the smoking experience. Because they are made of glass, they can be re-used multiple times, making them less wasteful. Glass pipe screens also can come in a variety of colors and designs, so you can respect the beauty of a well-packed bowl from start to finish. Despite the superior design aspect, glass pipe screens are still very affordable. The glass pipe screens differ from the brass and steel screens in that they don’t have a delicate criss-cross pattern. Instead, glass pipe screens have interwoven strands of glass with small holes to allow for ventilation. Brass pipe screens are often a standard in a smoker’s accessory kit. They tend to be incredibly light, and because of how fine the metal is, they are easy to modify to fit any bowl size. Because they are flexible and lightweight, it’s also not as much of a hassle carrying a few around in your pocket. 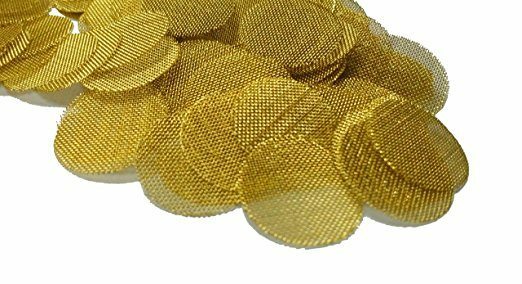 The other great thing about brass pipe screens is that because they all look the same and are so cheap, you won’t feel too bummed about losing one or several. The only downside is that they do need to be replaced occasionally. Other smokers are loving pipe screens too. Here are the top 5 pipe screens on Amazon. 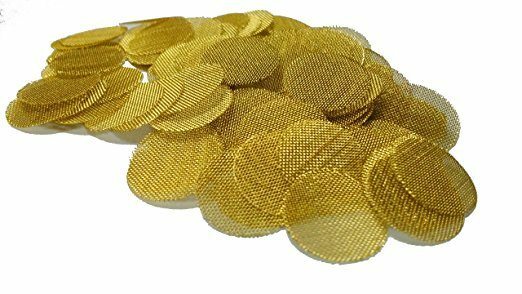 These pipe screens from Gold Lion Gear are at the top of the screens on Amazon. 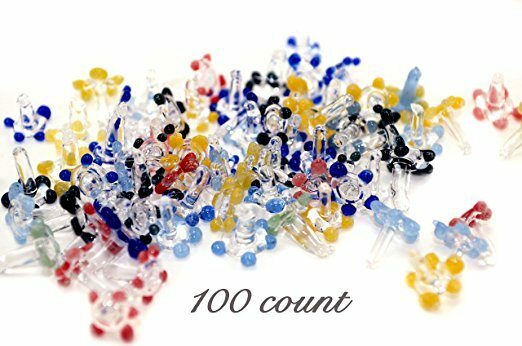 Each bag of screens comes with 100 screens for a very low price. They are 3/4 inch in diameter and made in the USA. Currently the best seller on Amazon, the Grimm SUPA screens are very highly rated. 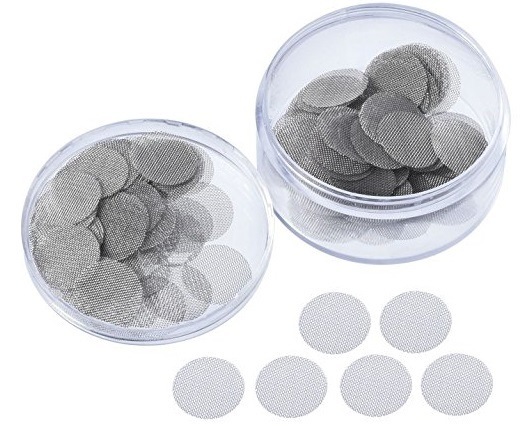 They are a little more expensive than the Grimm 100, even though they are the same diameter and come with just 50 per pack. However, user reviews confirm these are great screens. They are also made in the USA. Although just marginally more expensive than the Grimm 100 brass pipe screens, the Polykarmatic screens also come with one hundred screens, and they are made of glass. Shaped like tiny colorful daisies, the stem of the flower inserts into the bowl for added stability. For their listed price and at 150 pieces per package, these screens are a steal. 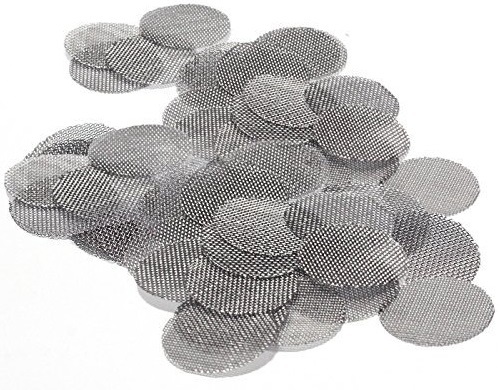 These are stainless steel screens of ¾ inch diameter. They also come with a convenient clear storage container. Another popular pipe screen package, these are ¾ inch diameter and stainless steel, which is a very durable material. If you haven’t already experienced how much easier pipe screens make the whole smoking experience, well, it’s never too late. There’s a reason, after all, that we named pipe screens on our list of must-have smoking accessories.